In my lab environment, I set up all Windows Server 2012 R2 with update 1 servers like a domain controller and domain member servers. I found that some group policy cannot be applied to the domain member servers. I performed "rsop.msc" to launch the "Resultant Set of Policy". There is a exclamation mark on "Computer Configuration". Then, I checked the Computer Configuration Properties. The revision number of all domain policies are 65535. After that, I performed "gpresult /h" to generate a html report of group policy objects. The report show that "AD /SYSVOL Version Mismatch". According to KB2866345, This issue occurs because one or more Group Policy Objects (GPOs) cannot be applied of security filtering or Windows Management Instrumentation (WMI) filtering. More specifically, a Group Policy is filtered because the Group Policy reporting engine assumes that the GPOs that are related to the Group Policy use version 65535 of the Group Policy template. Therefore, when the assumed version value is compared with the current version value of the GPC that the GPO uses, a mismatch occurs. This mismatch is then reported in the Group Policy Results report. 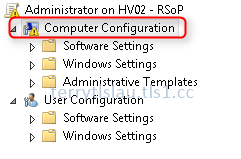 Assume that you run the gpresult /h command from a command prompt on a computer that is running Windows 8.1, Windows RT 8.1, or Windows Server 2012 R2. Or, you run the Group Policy Modeling wizard from the Group Policy Management Console (GPMC) snap-in for the Group Policy Result report. Additionally, assume that the Group Policy Object (GPO) has no security filtering or Windows Management Instrumentation (WMI) filtering. In this situation, you receive the previously mentioned message unexpectedly. Microsoft released an update, KB2955164 Windows RT8.1, Windows 8.1, and Windows Server 2012 R2 update rollup: May 2014. 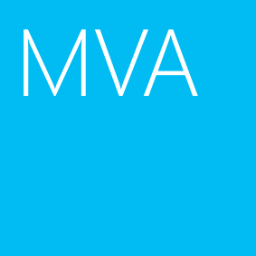 This update included a hotfix, KB2957985 Unexpected "AD/SYSVOL version mismatch" message in Group Policy Results in Windows 8.1 or Windows Server 2012 R2. After installing this update to Windows Server 2012 R2, this issue is fixed on Windows Server 2012 R2 and Windows 8.1 computers. Remark: According to prerequisites of KB2955164, make sure computers have been installed KB2919355 before installing KB2955164.